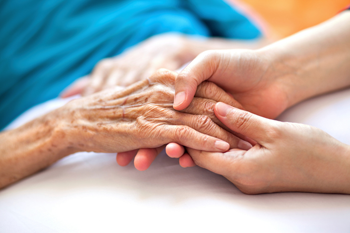 Who’s Liable When an In-home Caregiver is Injured? As parents age, families are often faced with the decision to hire an in-home caregiver or move their elders into nursing facilities. This is an emotional, stressful and often financial decision. At the other end of the spectrum, nursing home and in-home caregivers have stressful and risky jobs. If you are a home health care worker, you likely already know that your job can be stressful and difficult. But did you know that caring for others can put you at risk for a personal injury? The Bureau of Labor Statistics consistently lists nursing as one of the occupations with the most injuries year after year. From the physical demands to the exposure to illnesses, chemicals and drugs, caregivers and nurses risk injury on a daily basis. Repetitive tasks and lifting throughout the workday can also cause back pain and injury. Those that work with mentally ill patients also face the risk of violence from patients. Nurses who work at hospitals and doctors’ offices are covered with workers’ compensation insurance through their employer. But what happens if you are a home health care worker and have been injured while working in someone’s house? Who is responsible for paying for your medical care? The answer may depend on the injury and your employer. If you are employed through an agency, your agency should have workers’ compensation insurance, which will provide coverage for your medical bills and lost wages. However, if you are an independent contractor or self-employed (and do not have workers’ compensation insurance), then the homeowner may be responsible for covering your medical bills and other losses due to your injury. In Pennsylvania, homeowners who engage household workers are not required to carry workers’ compensation insurance. This means that if you are working in someone’s home and you become injured, the homeowner could be personally liable. Even if you were hired through a service such as Care.com, this does not guarantee the homeowner protection from liability. These services usually do not cover home health care workers with workers’ compensation, but instead, offer homeowners the chance to purchase this coverage from their company. In order to seek compensation from a homeowner, the home health care worker must prove that she or he was not adequately warned of the risk or that the injury was due to the homeowner’s negligence. Courts have determined that home health care workers assume certain risks, just as firefighters and police officers do. However, each case is different. Speak with an experienced personal injury lawyer to review your options. Personal injury cases that involve household workers and independent contractors can be confusing. Speak to an experienced attorney about your case. Contact KBG today.